From November 13-25, the Grand Palais in Paris will host a major exhibition devoted to Christian Dior’s iconic Miss Dior perfume. Created in 1947 to accompany the “New Look”, Dior’s first fragrance captures the couturier’s distinctive style and has become a source of creative inspiration for the House of Dior. 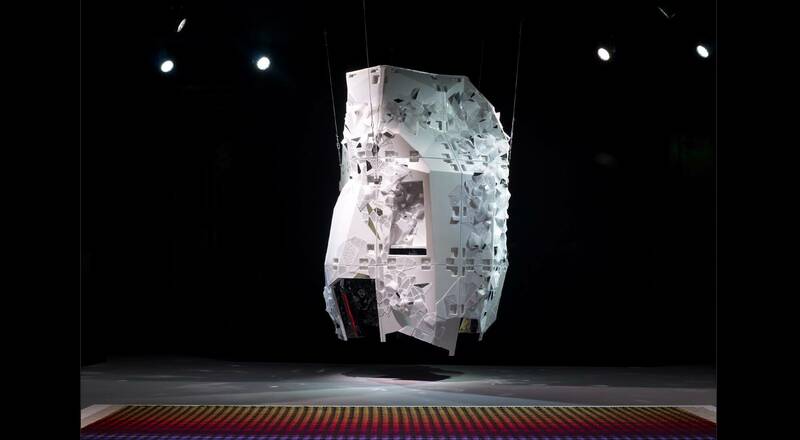 Designed by Nathalie Crinière and curated by Hervé Mikaeloff, the exhibition takes place in the Galerie Courbe, which has been redecorated for the occasion in Dior’s emblematic gray and white colors. The staircase of 30 Avenue Montaigne, where the very first Dior collection was presented, has been specially recreated for the event, and several legendary Dior dresses will be on display at intervals throughout the exhibition. 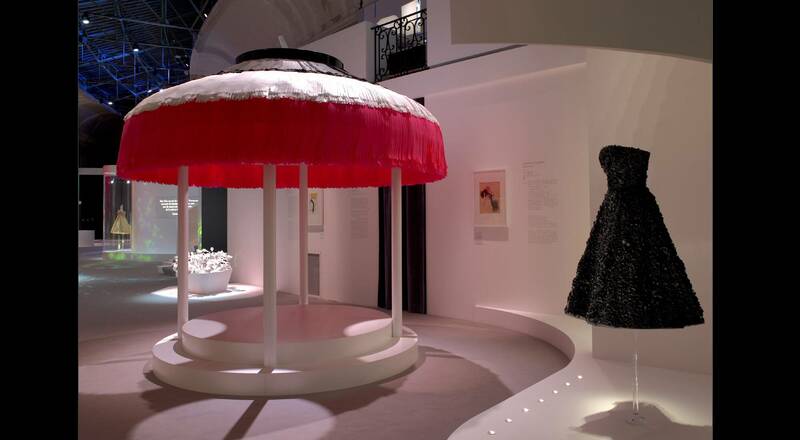 The first part of the exhibition is dedicated to the artists who influenced Christian Dior, who was a gallery owner and artistic visionary before he entered the world of fashion. 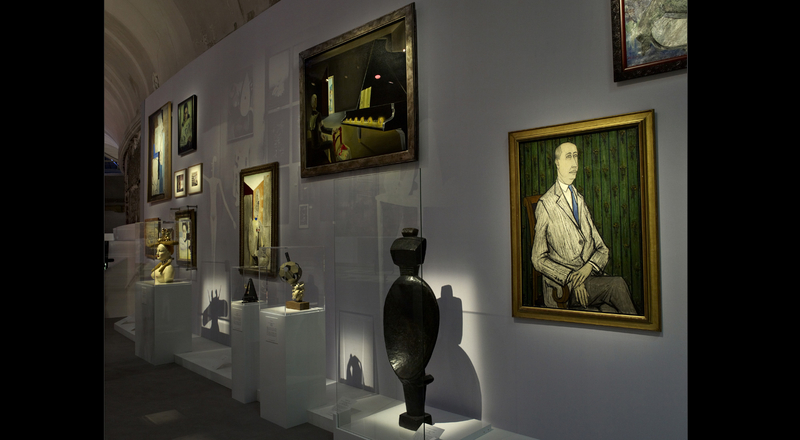 Included are works from the designer’s personal collection by artists such as Salvador Dalí, Joan Miró, Bernard Buffet, Man Ray and Alberto Giacometti, who Dior befriended back in the 1920s, as well as rarely seen handwritten notes and photographs. 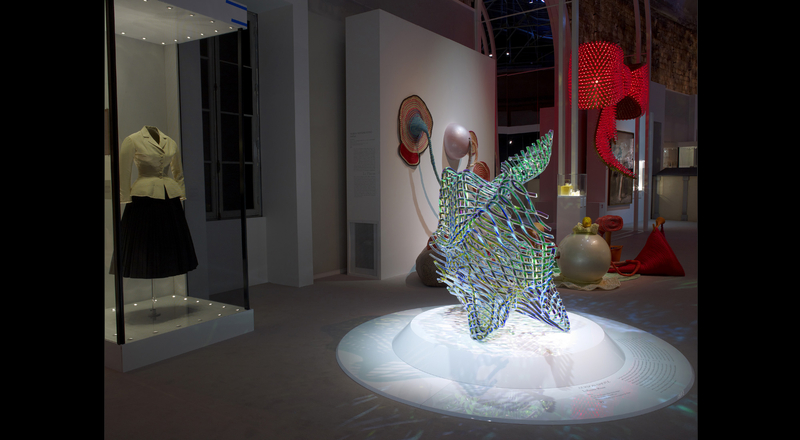 The second part of the exhibition showcases the creations of 15 contemporary artists, invited to give their own take on the Miss Dior spirit. To create their works, the artists drew inspiration from some of the emblematic symbols associated with the perfume – the rose, the original amphora-shaped bottle, the hounds-tooth motif engraved in the glass, the bow around the bottle’s neck and the exquisite Natalie Portman, the current face of Miss Dior. These contemporary works span a wide range of media, from video and photography to sculpture and installation, demonstrating the powerful image conveyed by the Miss Dior fragrance, whose defining attributes remain totally relevant today. 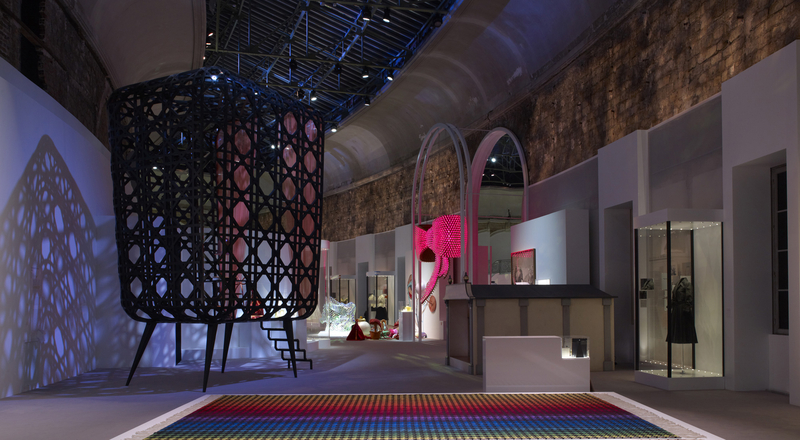 Exhibited artists: Polly Apfelbaum, Lara Baladi, Carole Benzaken, Lee Bul, Karen Kilimnik, Carla Mattii, Maria Nepomuceno, Shirin Neshat, Tomoko Shioyasu, Alyson Shotz, Hannah Starkey, Joana Vasconcelos, Ionna Vautrin, Liang Yuanwei, and Nika Zupanc. The Miss Dior exhibition will run from November 13 to 25 at the Grand Palais in Paris. Entry is free.